____________23. Menthol drops come in packs of 8 for $ 3.60. Butterballs come in packs of 6 for $ 2.25. Aida bought 48 pieces of candy. How many of each kind of candy did she buy, if she spent $ 19.80? Use the following table for questions 24 and 25. ___________24. 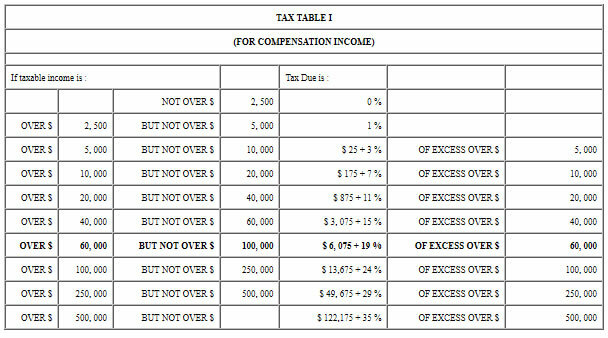 How much tax is due on a taxable income of $65, 000? ___________25. How much tax is due on a taxable income of $55, 000?